Buying your first stringed instrument is fun and exciting experience. However, losing your wonderful sounding stringed instrument due to theft or damage can be detrimental. Not only can it cost thousands of dollars to replace or repair, but you’ll lose valuable time practicing. That’s where musical instrument insurance comes into play. We’ll discuss the ways in which you can get musical instrument insurance so that you are sure that your precious instrument is protected. Insuring your stringed instrument is the best move you can take to ensure that you get back to playing quickly in case your instrument is damaged or stolen. Musical instrument insurance, therefore, involves purchasing protection for your stringed instrument against accidental damage, loss or theft. Before disaster strikes and brings your playing to a halt, it is vital to find suitable insurance for your musical instrument. If you’ve ever gone through a stringed instrument loss, then you understand how painful it is to scrape your pockets again for extra cash to buy a new stringed instrument. 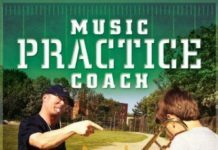 How do You Get Musical Instrument Insurance? Before signing an insurance contract, it is imperative to ensure that you are selecting the right insurance. The first move you can take is to get a musical instrument insurance appraisal. There are multiple insurance estimates to choose from but it is best if you can get one from a qualified luthier. If you recently purchased your stringed instrument and still have a receipt with you, then you can have an estimate written out for the amount of the buying price on your receipt. If you are buying your stringed instrument from a local music shop, it is worth asking for an appraisal to be included in the deal when you initially buy it. This way, you can avoid the additional cost of having to hire someone else to appraise your stringed instrument. Devaluation is a critical aspect when purchasing musical instrument insurance policy. Condition determines the value of your instrument. A simple crack can reduce the overall value of your stringed instrument. If your bow has a broken head, then the overall value reduces by up to 80%. We recommend making any major repairs to your instrument before getting it appraised. The easiest way to get musical instrument insurance is through your homeowner’s insurance policy. You can get your homeowner’s insurance to cover your stringed instrument just like your other possessions. All you need to do is talk to your homeowner’s insurance agent to find out whether you can add stringed instrument coverage. This will probably increase the monthly premium you pay for your insurance by a little bit, but it will be worth the peace of mind. When signing up for additional insurance, it is a good idea for you to read the full details of the policy before signing it. You should also talk to your agent about where you will be taking your stringed instrument. You may need additional coverage if you take your stringed instrument out of the house, in a car, out of its case, and even out for practice in some cases. Ensure that you obtain full information about the type of insurance for musical instruments you are purchasing. Professional musicians who earn money by playing their instruments or have higher priced instruments may not necessarily go for homeowner’s insurance. Separate musical instrument insurance is a valuable investment for them since it can also compensate for loss of potential wages or earnings if their stringed instrument is damaged or stolen. Separate musical instrument insurance is a good idea if your instrument is valued at greater than $5,000. This is the reasonable value regardless of how cheap your instrument might be. This is because when you add accessories, a case, and bows the value might rise significantly. Again, before you buy your insurance, it’s good to understand that most insurers offer slightly different policies. Some specialize in professional-quality instruments while others focus on insuring school-aged, and rental fleets. Therefore, make sure that you do thorough research about the insurance agencies, their specialties, and services. You can then do a consultation and discuss the requirements of the type of insurance you are looking for. Premiums and deductibles also vary from one insurer to another. Some policy providers might charge a minimum annual premium with no deductible. Based on the nature of insurance coverage you need, you can get musical instrument insurance up to a certain value. 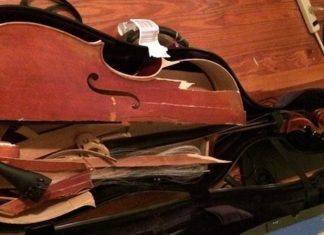 One thing to keep in mind is that there is no one-size-fits all when it comes to stringed instrument or any other musical instrument insurance. The stringed instrument is a particularly peril-prone instrument due to its size and fragility. Any high-risk activities, such as frequently transporting your stringed instrument (especially on airplanes), might require higher insurance premiums. When evaluating your policy, it’s essential to take into consideration the potential perils. What Coverage Should You Get from Musical Instrument Insurance? Professional cellists will want more robust insurance. 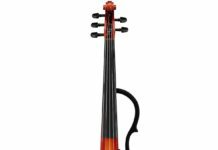 As a professional cellist, you will be taking your stringed instrument to wherever you are playing, whether by car or plane. Therefore, your insurance should cover all the perils and circumstances you can encounter while handling your instrument as you travel globally. Discuss everything with your insurance agent so that they know what insurance product is best for you. Also, check if your insurer covers other instruments such as bows, recording accessories, amplifiers, electrical gear, and sound equipment. Insurance policies often cover typical risks such as flood, theft, fire and accidental damages. However, they may not cover common things such as mold and wear and tear. If you lose your stringed instrument due to theft, damage or any other unfortunate event, contact your insurance agent right away. Tell them all the details if your equipment is repairable or requires replacement and you’ll be guided. Lost stringed instruments that have been recovered after the settlement of the claim can be reclaimed by the insurer. 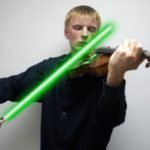 How Else Can You Protect Your Stringed Instrument? There are many ways that you can ensure that your stringed instrument suffers minimal damage and exposure to risks. When traveling, keep your stringed instrument with you at all times. Do not leave it where someone is likely to steal it. You should also consider buying a sturdy stringed instrument case. 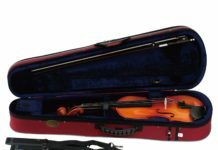 If you fly a lot, you should consider buying a reliable flight case that can fit over your current stringed instrument case for an added layer of protection. 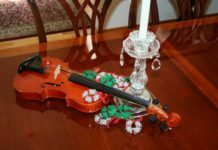 Additionally, in the winter you should make sure that you use a dampit when your heat is on so that your stringed instrument is not prone to cracks. 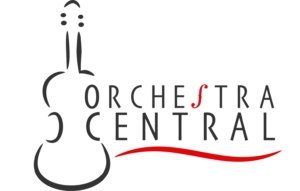 Keeping up with general maintenance such as changing strings will also ensure that your stringed instrument is in great shape and less prone to certain risks. You should take your musical instrument in every year to a local music shop for a “tune up” to make sure it is in tip top shape. Losing your stringed instrument can be like losing a best friend, especially if you love music. Replacing a lost, stolen, or damaged stringed instrument requires throwing down a lot of money which can be extremely difficult on a tight budget. 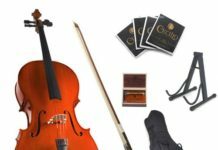 With musical instrument insurance for your stringed instrument, you never have to worry so we recommend that you find great musical instrument insurance today.